The C2c tank with off-centre cover also has a fully insulated version so that it can be used for tartaric stabilization. Full insulation is with polyurethane panels faced with welded ASTM 304 stainless steel. 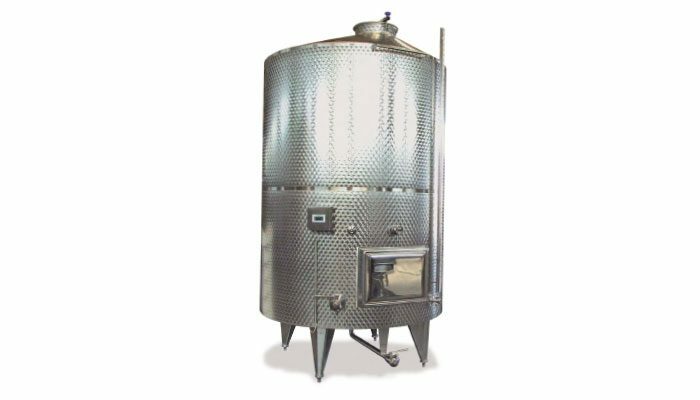 The fully insulated tank can also be used for storage as the holding temperature can be controlled. Cadalpe produces exclusively to order and can develop any measurements required.